​I am writing this now with tears rolling down my face as I have just finished the last sentence of this beautifully heartbreaking story. 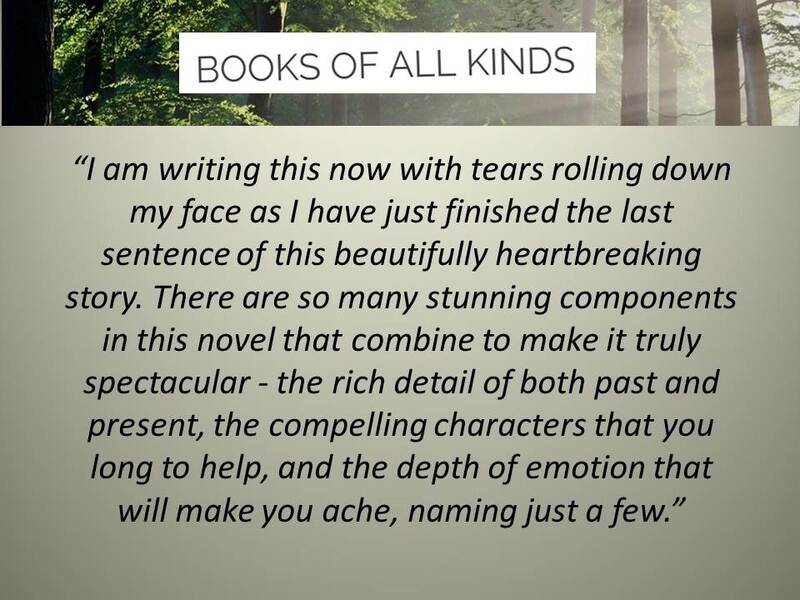 There are so many stunning components in this novel that combine to make it truly spectacular – the rich detail of both past and present, the compelling characters that you long to help, and the depth of emotion that will make you ache, naming just a few. In the present day, Sam Foster’s life is turned upside down when her father is involved in a serious accident. 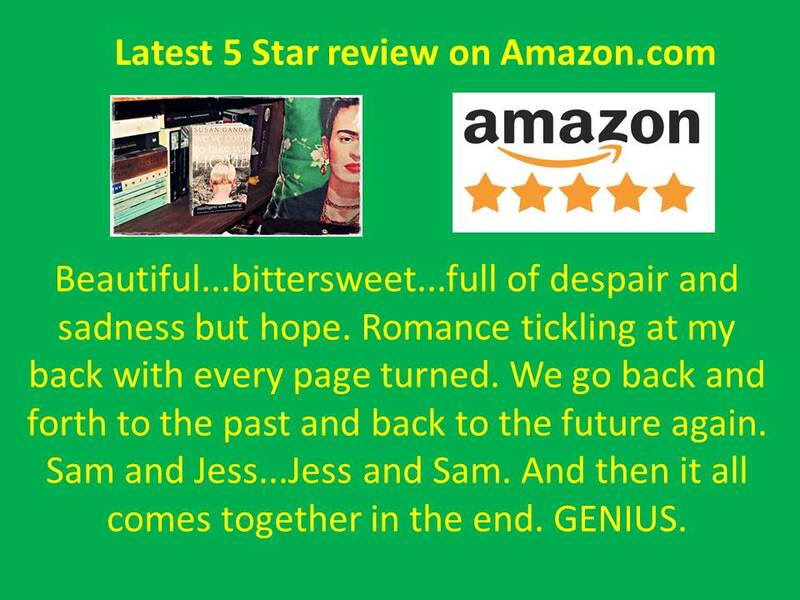 Terrified of what the future may hold, Sam struggles to remain calm, and to make things more complicated, she keeps finding herself slipping into the dreams of another person’s life and memories without her control. With fear for her father and what is happening to herself, can Sam find a way to figure out what these messages are trying to tell her? WE’VE COME TO TAKE YOU HOME by Susan Gandar is a thought-provoking story of love, despair, and hope, and I read this book in two hours as I could not put it down. The harsh reality of war, poverty, and life at that time for so many, is effortlessly woven into this tale, and my eyes teared up as the descriptive narrative made it all come alive. And the last line left me blubbering like a baby! All of the characters are expertly crafted but Jessica was by far my favourite character as her strength and spirit shone through in every situation. WE’VE COME TO TAKE YOU HOME by Susan Gandar is an excellent story, full of depth and emotion, and I look forward to reading more from this author. 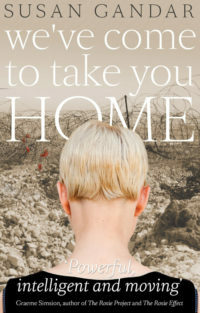 We’ve Come to Take You Home is a poignant read about family, history, war and reconnecting with your past to form your future. I had no idea of what to expect when I started to read this debut novel. Was it a love story? An historical read? The genre I find very hard to define, even now once I have read it, but I loved this book for its ghostly themes of love and the past, and strong female characters who both eloquently told their stories. We’ve Come to Take You Home tells the story of two women, four generations apart. Although the stories appear to be separate, as I progressed through the book I realised that the two stories were linked in some way. Jess is living through the hardship of the First World War. Her father has been recently deployed and she needs to help support her mother and new baby brother. The depictions of war are harrowing and brutally honest. When Jess is forced to move to London to work as a maid of all jobs, my heart ached for her. She was thankful for a roof over her head and food in her belly, but at what cost? Was she truly living life? We also read Sam’s story, which is just as moving as Jess’s, although in an entirely different way, there are similarities to what they are both going through. They are both young, they are having to adjust to life without a father, and they are both mature beyond their years. She lives in the present day with her mother and pilot dad. She has always seen things, people, that are not really there, and as we read her story , she shares with us the fact that she sees images of war. She sees war nurses attending the sick, the bombed out fields and the sick and dying soldiers. This happens to her without warning, she is simply sucked back in time, living via another person. This is obviously terrifying, but she keeps what she believes are visions to herself, as who would believe her? She has no idea why she sees such images, and neither do we. This is such a clever story, and on paper you would think it could not possibly work. But, it does. 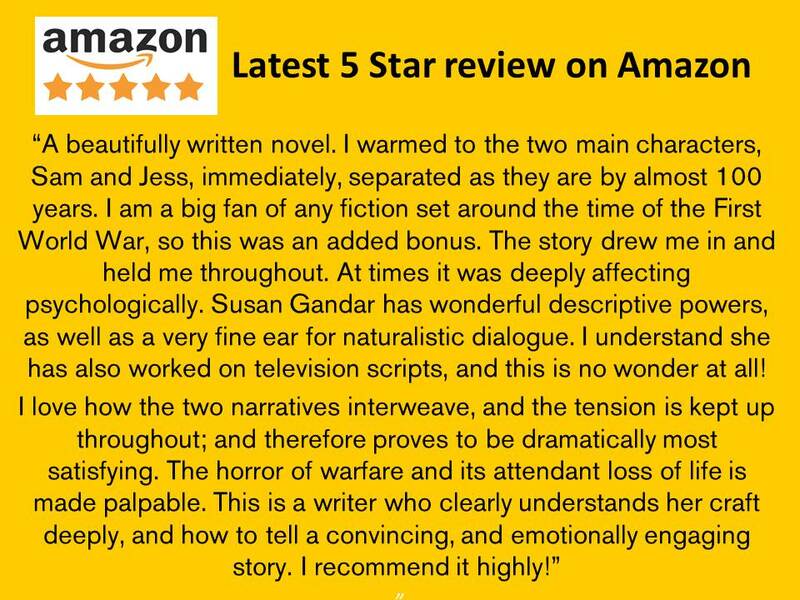 Through both Sam and Jess we learn about what it must have been like for a normal, working class family to live through the hardship of war. Although this is the primary story, we also have Sam’s struggle, in her trying to reunite her broken family. Her father is a pilot, and on the day that he leaves the family home, he is involved in an accident that leaves him in a coma. Sam has to deal with her father’s critical condition, as well as having to learn to cope with the evolving relationship with her mother. When I read the description for We’ve Come to Take You Home, I knew this was a book I wanted to read and I’m so grateful to Susan Gandar for sending me a copy in return for my review. After a brief but disturbing prologue the book opens in a familiar setting with a group of teenage girls meeting boys at a funfair, however, that rapidly changes when one of the girls, Sam experiences what can perhaps be best described as a time slip, and finds herself on a platform of a station in the past. These episodes occur throughout the book and Sam is much more than an observer as she sees what is happening through the eyes of the person involved. She is understandably confused and at this point so are we, this is a book that very gradually reveals the truth. After being introduced to Sam, the third person narrative switches to Jess, another teenage girl but one who is actually living in 1914. War has not long broken out and young men are being recruited to fight in a war they are told will be over by Christmas. With our benefit of hindsight of course we know that many of the men eagerly signing up are destined to never return or to come back irrevocably changed. The chapters throughout the book switch between the two girls, separated by a century but somehow linked. Jess’ story is so evocatively told, it’s a poignant and bittersweet coming of age story and also a sharp reminder of the social inequalities that were still rife during that time. Her family are desperately poor and cruelly affected by the war. The village they live in is terribly poverty stricken, something we perhaps forget when we look back on that time. Sam’s story doesn’t have the same desperate tragedy but is still an immersive look at a modern family who are experiencing their own trauma. Whilst the chapters featuring Jess are perhaps the more obviously heartrending, Sam’s life is touchingly and empathetically followed. She may not experience the same dangers as Jess but she is still affected by dramatic and life-changing events that she needs to come to turns with. Both girls are forced to make brave decisions and in many ways we are reminded that no matter the circumstances love, fear, hope and grief affect us all. Dying is a constant theme throughout too, the horrors of war obviously but also more subtly, the quiet losses, the need to face up to and accept death. 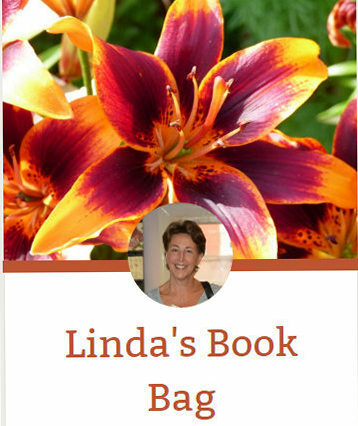 Ultimately it’s a book about family, the ties that bind us and link us to the past. I was so moved by this book, the mystery at the heart of it is beautifully and intricately explained. I really appreciated too that the reason for the bond between the two girls is something special, without giving anything away this book celebrates being different and accepting those differences. The characters are subtly and sympathetically brought to life, the switching narrative never less than compelling. I read it in a single setting as I was unable to tear myself away from this intelligent, thoughtful and cleverly plotted book. I knew it would be a book I would enjoy, I didn’t realise it would be a novel that would touch me so deeply. I thoroughly recommend it. Two young women, Jess and Sam, live a century apart and yet are joined in ways they can’t possibly imagine. Although We’ve Come To Take You Home has been sitting on my TBR pile for about a year, I hadn’t had chance to look at it in detail so I wasn’t entirely sure what to expect. What I found was a time slip novel that had me entranced throughout. I don’t always enjoy this kind of structure but I found the overlaps, Sam’s hallucinatory visions and the echoes of the past all so well written that I thoroughly enjoyed the book. I really enjoyed the characterisation and although I felt more empathy towards Jess, I thought both women were warm and realistic people whom I cared about. Susan Gandar has an evocative turn of phrase so that it was easy to visualise the grand house Jess finds herself in, the hospital setting and the horrors of the First World War. 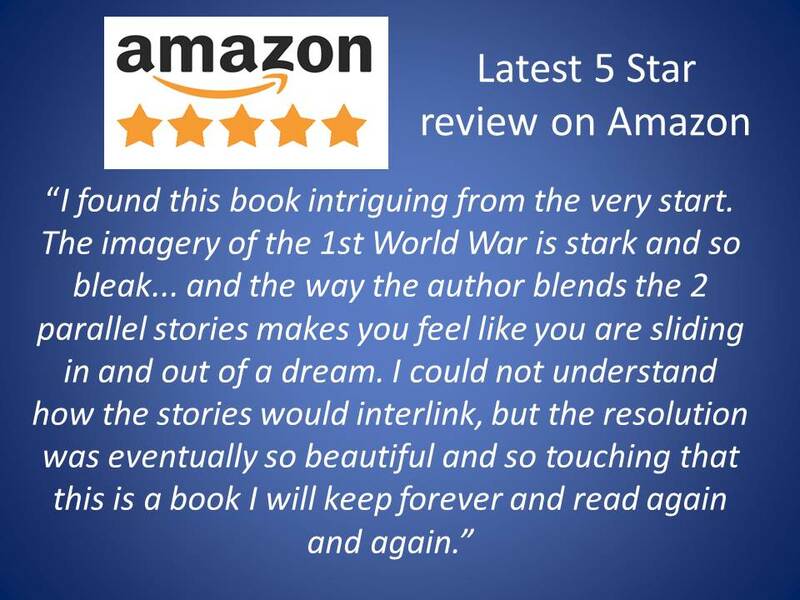 I thought history was brought to life highly effectively and vividly so that We’ve Come To Take You Home would definitely appeal to lovers of historical fiction. However, We’ve Come To Take You Home is so much more than just an historical novel. There are many layers so that there really is something for every reader through the sociological and spiritual elements, the family relationships and our perception of what is true or imagined. I found that not only was I presented with an intriguing plot, but with some challenging concepts that made me question my own views. I’m not especially spiritual but I was very entertained by those aspects in the novel and let’s just say that next time I’m at an airport I shall scrutinise the departure boards very carefully! We’ve Come To Take You Home is a hugely satisfying read. It made me think, it entertained and educated me and it took me away from the writing I usually read. Ultimately, I found We’ve Come To Take You Home an uplifting read. Great stuff. 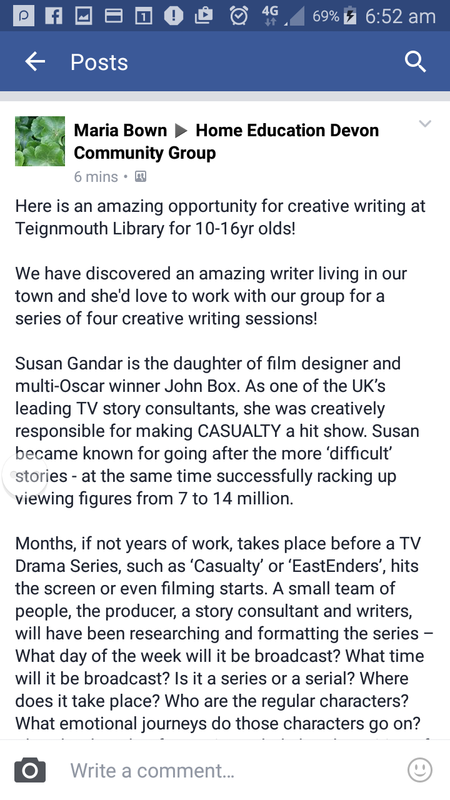 Really looking forward to working with this group of incredibly talented youngsters! Sam expected to see the lights on the promenade twinkling off into the distance, the wings of the angel statue silhouetted against the moonlit sky, the cliffs standing sentinel at either end of the town.